8 Comments to "Palomares Non-League Schedules"
I believe that high school football will survive, but not without a fight. In addition, the public should be made aware of the fact that the concussion risk for soccer players is comparable to the risk faced by those who play tackle football. And, soccer players don’t wear any protective headgear. More people die getting hit by a stray golfball or die from heart attacks walking a golf course than playing in a football game. I said playing not conditioning. The people who are trying to destroy high school football in this state are pushing that agenda because it’s an easy campaign against a largely UNFUNDED opponent. Think about it: outside of the handful of coaches who have tweeted their opposition to the war on football, what big money group is going to step forward and fight for the sport? By contrast, consider the hazardous acts of driving a car, eating junk foods, breathing SoCal air, and becoming racked with stress by living this way. Nobody’s going after the advocates of THOSE things, because there’s big money behind those interests, money that can and will be spent to defend them vigorously. So there you go: the coward legislators and administrators who are working to end football in California do so not out of conviction, but because they have discovered an easy mark. Wow… Colony hasn’t even played a league game in the Palomares yet and PO takes a sot at them already. It’s going to be a long year!! Bonita has a QB and receivers. If their small line compared to other Palomares teams can gel they could surprise a lot of teams that are chalking up a win already on the week they play Bonita. 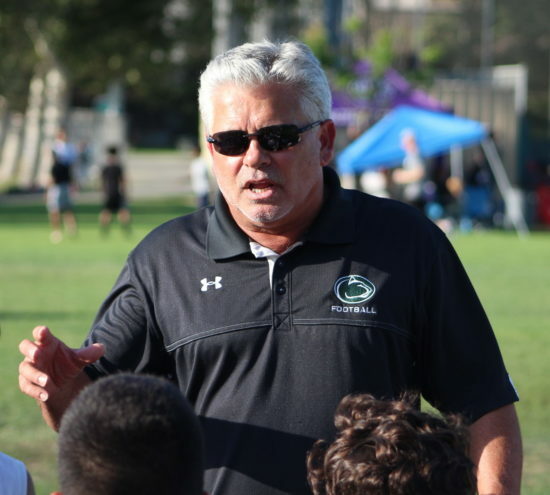 Trends on the palomares….from last yrs teams. Bonita has to be better because they were not last year. Ayala…will they be able to get colony since most of the other teams are trending down. Claremont…well it’s claremont…but it’s their kids they play with not anyone elses …but some of their kids are someone elses….how is that? lol goooo get them Pack!!! Glendora is going to struggle on D because of youth and the O will too b/c they graduated a lot of kids…and they aren’t charter oak or upland so they aren’t getting 10 recruits…I mean transfers…. I mean kids who actually moved to the school boundaries. Alta Loma will be a hair better but just one hair. Now that is my opinion. It’s not bond. It is based on my observations of football of those teams and I watched them all last year at some point. But good luck to all of them. The reward of playing is better than the risk…correct. However, here in California as far as football balancing out…..wrong. As long as soccer continues to be the soft avenue for parents (and sooooo many being from single families, districts cutting back on athletic spending, declining enrollments, and crowd attendance, fewer people having kids and the demographics being in favor of soccer, football will eventually die here in Cali..especially So Cal. People in the know on kids bailing out of Cali to move to tex and az will agree. Have to go where the sport is still popular. In Cali it is drying up quickly. Even at the “good schools”. @Captain: Not a great article, just stats. What goes up must come down. From the stock market to the human condition. Considering the whacks that football is taking as far as safety I’am surprised so many boys are playing. Socal parents are not idiots. They weighed the pros and cons and the things learned on the gridiron are well worth the possible injury. Football may decline a bit more but it will reach it’s balancing point.